Cancellation policy: Final reservations can be cancelled free of charge up to 90 days before the booked date (with the exception of costs already incurred). Cancellations between 90 and 15 days before the booked date can be cancelled on payment of 50% of the total quotation. 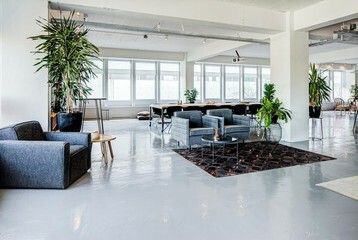 Overlooking the Hofplein fountain, with an excessive amount of natural light, a lot of greenery and beautiful design furniture, The Loft is the perfect space for inspirational meetings and evenings in Rotterdam. 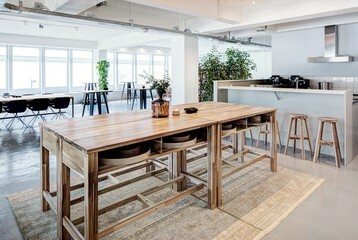 The many corners and seating areas in the space provide you to withdraw, to chat or to act on your inspiration. With The Loft, you push every business meeting or event to the next level. 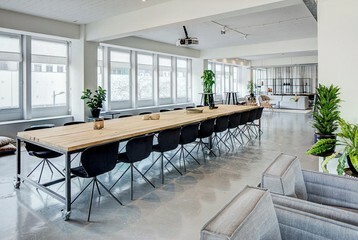 The Loft is 300 m2 and everything is present in the venue for a successful event, from a 75 inch SMART TV to post-its and flip-overs. The organic catering will provide you with the right healthy energy during the day and our hostesses will take care of everything, so that you can focus on the important issues. 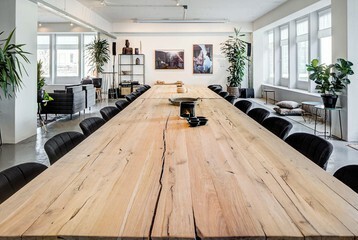 There is a 9 meter oak table that seats up to 30 people. The spacious lounge areas and bar are created for the break-out sessions and catering moments. 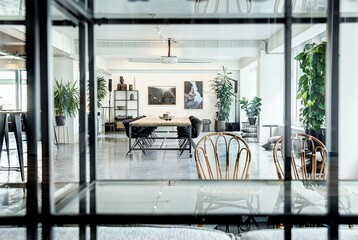 Additionally, the Loft has 1 separate break-out space that can accommodate 12 people. • For more than 25 persons, a second hostess will be added to the cost, the price is 22€ per hour per hostess.